What is Driver Restore & How Does It Works? Concerned about your outdated or missing windows system drivers? Not sure as to why your Windows 10 OS not supporting your connected hardware device? Got frustrated with many such system driver related issues, read below a technically sound solution. 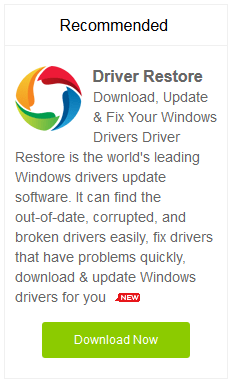 Driver Restore is windows driver update software utility manufactured by AbeApps Pte. Ltd. It is a very useful software launched to help update system drivers. To know further about the product in detail refer to the succeeding details. Before we reach out for the solution to PC driver queries, let’s take into account the significance of drivers in a user’s system. System drivers are software programs that aid in creating a link between the system OS and other softwares and/or hardware connected with the system, including a webcam, Bluetooth, printer, USB etc. In case, these drivers are outdated or missing, it will cause a problem in the connection of the system with external devices and internal software programs. Want To Update Windows Drivers? A relevant driver updater needs to be brought into the picture to update drivers. 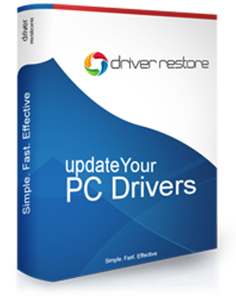 Driver Restore is the best driver updater tool available as believed by millions who have used the software program so far. Driver Restore is a driver update tool that will offer unlimited scan for your system. Once the scan is complete, a result is generated that will list out all of the system drivers which are either out-dated or missing. This especially supports a majority of the Windows OS, ranging from Windows 10, Win 8 to Win7, Win Vista, Win XP. Hence, Windows 10 drivers, drivers for windows 7, win 8, XP drivers, Window Vista drivers, all can be updated using this drivers update software, Driver Restore. How Does Driver Restore Works? Detailing about the working of the software, a user can access the available scanning feature of Driver Restore. Upon completion of scanning, user is intimated of the window drivers that need to be updated. For a user to update window drivers, they need to purchase the software, which is available from the official website itself at an affordable price. see package details. Once Driver Restore is purchased, the software files can be downloaded in the system. This action will enable the user to update the outdated drivers in the system . Following the User Guide from a scanning of the system to an installation of driver restore ensures that the overall performance of the PC is enhanced. It’s also considered that only the compatible drivers are updated. In case a user is looking for specifically updating Windows 10 drivers or say Window XP drivers or Drivers for Window 8, Driver Restore, can be counted upon as best available available option so far. The product carries an enormous database of window drivers to assist the user. Another major concern haunting the users is whether the program is a virus or malware or PUP. However, Driver Restore is clear of virus, malware-free. Moreover, it is not a potentially unwanted program (PUP). To justify the above statements, the software being .exe extension file, that will only run or work once it has been installed or downloaded in the system. Nevertheless, its execution completely depends upon the user’s grant, it won’t run till user permits. Adding to the list, you can easily uninstall driver restore from the system in case of unsatisfactory results.